Why do certain products and ideas go viral? 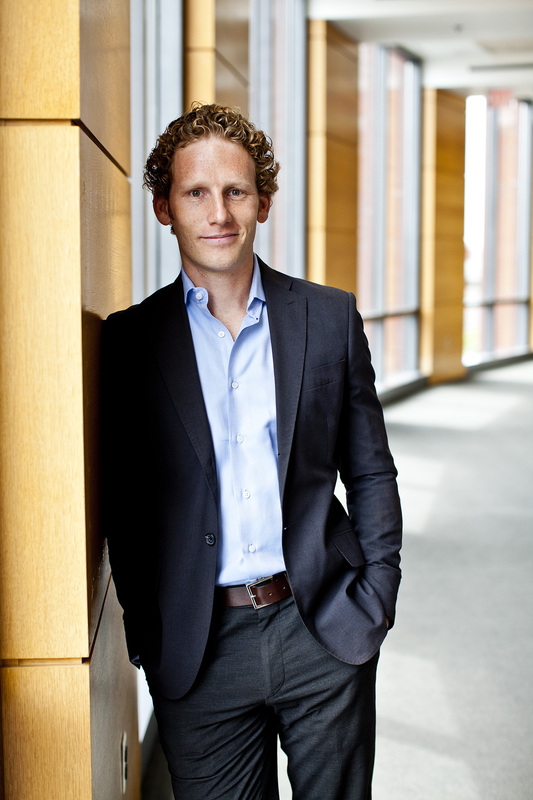 Dynamic young Wharton professor Jonah Berger draws on his research to explain the six steps that make products or ideas contagious. Why do some products get more word of mouth than others? Why does some online content go viral? Word of mouth makes products, ideas, and behaviors catch on. It’s more influential than advertising and far more effective. Can you create word of mouth for your product or idea? According to Berger, you can. Whether you operate a neighborhood restaurant, a corporation with hundreds of employees, or are running for a local office for the first time, the steps that can help your product or idea become viral are the same. 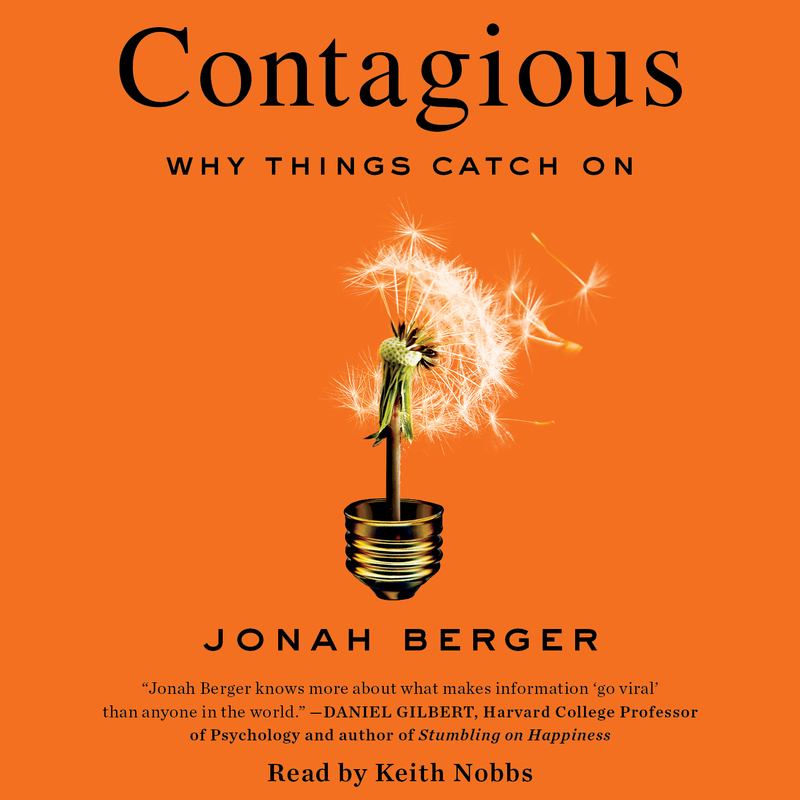 Contagious is filled with fascinating information drawn from Berger’s research. You will be surprised to learn, for example, just how little word of mouth is generated online versus elsewhere. Already praised by Dan Ariely and Dan Gilbert, and sold in nine countries, this book is a must-read for people who want their projects and ideas to succeed. This reading group guide for Contagious includes an introduction, discussion questions, ideas for enhancing your book club, and a Q&A with author Jonah Berger. The suggested questions are intended to help your reading group find new and interesting angles and topics for your discussion. We hope that these ideas will enrich your conversation and increase your enjoyment of the book. What makes products and ideas catch on and become popular? Why do some stories get shared more than others? Why are some rumors infectious? What makes things “go viral”? In Contagious, Jonah Berger shares the secret science behind social transmission. Why we talk about and share some things rather than others. Why we pass things on. Filled with engaging stories and comprehensive research Contagious is an essential tool for anyone that wants to make their product or idea spread. 1) Consider and discuss the most recent email forward you received. It might have been a news article, video, or story. What aspects of the STEPPS framework did it adhere to? Do the same analysis for the last viral video you watched, hot restaurant you tried, hit movie you saw, etc. Which concepts in the framework apply? 2) Which examples that Berger mentioned (e.g., Blendtec, Dove’s Evolution, white iPhone earbuds) had you been aware of before the book? Trace how these cultural touchstones came to you. 3) Discuss and analyze something you do using the lens of game mechanics. What makes that game, club, website, community, or activity so engaging? Consider each of the STEPPS. What keeps you hooked? Also, why do we value achievement so much? Where is an area you’ve noticed yourself being motivated by it? 4) Can mundane things (like a blender) really diffuse through public consciousness as quickly as remarkable things can? Does sensationalism or novelty (inherent remarkability) carry an advantage, even when STEPPS are considered? 5) What is an example where you’ve noticed yourself being motivated by scarcity? New high tech devices (new phones, gadgets, etc.) are frequently scarce when they are released. Does possession of these products carry social currency? Does their frequent release (a veritable flooding of the market) make them less scarce? 6) Would you brave the phone lines to enter Please Don't Tell? What about its seclusion appeals to you? Is there also something that turns you off to the fight for a seat? 7) Compare an instance of ongoing and immediate word of mouth. Is one more powerful than the other? 8) Without thinking too hard, what is currently top of mind for you? Can you identify triggers is your own life that bring things to mind? For example, whenever I see or hear __________ I think about ____________. 9) Like the Mars Bar and Rebecca Black's Friday, discuss products or campaigns that have "natural" triggers. Does having a pre-existing "habitat" increase likelihood of sharing? Of purchase? 10) Discuss high-arousal versus low-arousal emotions. What are some examples of each that you’ve noticed in your own lives? Is it strange that "contentment" (which so many people strive for in every day life) elicits little arousal? Have you ever shared something sad? 11) Privacy is a paramount concern in today's information-driven digital era. How does this fit with the idea of making the private public? (Consider Movember, Hotmail, and the Facebook generation.). When do we want our choices and opinions to be public versus private? Where are the lines drawn between open and closed information? 12) Watch Tim Piper/Dove’s Evolution video. Discuss the idea of Trojan Horses and how emotion is coded into the narrative of ideas. 13) Which aspect of STEPPS do you think is most affective? Compare Berger’s various examples of Social Currency, Triggers, Emotions, Public, Practical Value, and Stories. Is one of these characteristics most important for driving sharing? Is there a specific combination that makes one thing more appealing than another? 1. Perform an experiment and monitor the “most emailed” section of NYtimes.com for a week. Do you begin to notice patterns in what is shared? Consider arousal emotions, practical value, and the very subject matter of the articles. 2. Keep a transmission journal and note the ways in which products, ideas, campaigns, and companies use the tenets of human behavioral sharing to make their wares “stick” and “spread.” How much of your life is subject to the basic STEPPS? 3. Create your own viral video with the STEPPS in mind. What are the challenges of making something that addresses all of these sharing factors? Track the success of your video and how people react. Have you cracked the code to viral content? 1. The Harvard neuro study revealing that sharing is rewarding in the same way as food and other high-pleasure reward was incredibly interesting. Taking this into consideration, how do you explain what is referred to as the “me” generation of Twitter and Facebook, in which individuals share the most minute aspects of their everyday lives. Are all generations focused on “me?” Is there something different going on in modernity? People have always thought about and cared about themselves, but social media makes this easier to see because it creates a written record of our actions. What we said, what we shared, and what we “like.” But research suggests that these methods of communication may also contribute to making us “me” focused. Computer mediated communication, and talking to large groups (rather than a single other), may focus us more on ourselves and less on the wants and needs of others. 2. What’s the most recent thing you shared? And what was most recently shared with you? Wow. Good question. :) One thing I recently shared was a New York Times article that has a quote related to a research project we’re working on. One thing I just received was a restaurant recommendation for good Asian fried chicken. I had talked about something related in a Financial Times article about brand extensions, and someone who read the article sent me a note to prove me wrong! 3. Do you think you’ve cracked the code of efficient product advertising? Would you ever try your hand at it? Can we make ads more effective and viral? Yes. Have we “cracked the code”? There is always more to learn. Definitely like trying my hand at it. I often help companies use the STEPPS framework to improve their products and ideas and it is always lots of fun. 4. Along those same lines, have any of your students gone on to become successful advertisers/viral video makers/idea-spreaders? Definitely. I teach an exercise in my class where students use the STEPPS framework to try and create a viral video. It’s tough but some people do amazingly well! 5. Discuss how you think sharing today compares to sharing 30 years ago. What about our digital culture has made things different? Has sharing decreased in any way? Sharing today is certainly different in some ways. There is less face-to-face interaction with our friends and family, so we talk more over the phone or through the web. Research shows that this decreases some of the benefits of social interaction. Warm interpersonal contact reduces stress, but things like texting don’t have the same effect. Do we share less? Doubtful, but we do share differently. 6. The nature of current commercials seems more and more “off-brand,” as companies create non-sequitur and nonsensical ads to elicit a laugh or capitalize on “irony.” Are they failing to follow the STEPPS? Is there remarkability to silliness un-related to product? (Unlike the Panda in the food store). Funny ads are great. And as a consumer, I love to watch them. But if the goal is not just to make people laugh, but to get them to buy something, then valuable virality becomes vital. People will share funny or ironic ads, but at the end of the day it doesn’t help the company if the consumer has no idea what the ad was for. 7. Do you think most STEPPS happen at the unconscious level, or do you believe people create things with these fundamental human behaviors in mind? People are more aware of some of the STEPPS than others. Practical Value? We see that every day. Social Currency? We see it in others all the time (even if it’s hard to see in ourselves). But we are less aware of how Triggers or Public affects our behavior. 8. Is there something to be said for over-saturation? Can a good method of viral sharing exhaust itself in our fast-as-lightning culture? There is a key difference between psychology and marketing tactics. We may get over-saturated with a particular tactic (e.g., pop-up ads or a certain style of ad) but the underlying psychology that drove us to like it still remains. If every company makes their product “scarce” consumers will start to catch on, but does that mean we’ll stop valuing scarcity altogether? Probably not. 9. Is one element of STEPPS more vital than the others? No one of the STEPPS is most important, but certain ones are definitely easier to apply in certain situations. It’s easier to leverage Public if you have a physical product. It’s easier to use Emotion if you sell something related to children or animals. But the key is not just using the easy STEPPS. Trying to incorporate the more difficult ones will really boost their impact. 10. Have you ever eaten the $100 cheesesteak at Barclay’s? Yes. I highly recommend it.